So the day has come and you need a new heat and air system. Let's look at some of our options and see what fits your HVAC needs and budget. Americare is a authorized Goodman, Amana, and Carrier Dealer. 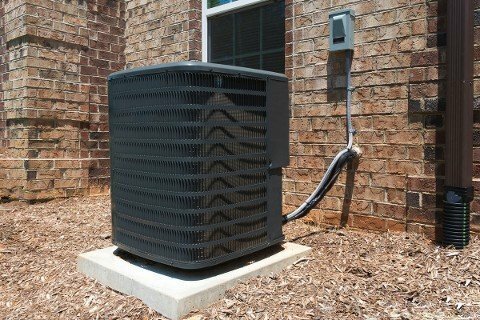 It is worth knowing that most all heating and cooling systems are similar with only a few options and warranties that make them unique. It is our opinion that the true test of time in your heat and air system life expectancy lies in equipment that is expertly and properly installed by a HVAC professional. Choose Americare for peace of mind and comfort when buying your new AC or furnace. Goodman Equipment comes in a number of different SEER, and EER performance standards. From a basic 14 SEER AC to a 80% EER furnace; 18 SEER (or greater) and 96% EEF. No matter what rating you chose here are the finer points of Goodman HVAC. High-performance compressor and high-efficiency coil. Quiet running conditions you can count on. Factory installed liquid line drier. Louvered cabinet to keep the Oklahoma hail and weather at bay. Single-stage gas valve provides quiet, economical heating. Quiet single-speed induced draft blower. Efficient and quiet single-speed airflow system. 10 year Limited parts warranty 10 year compressor warranty. Limited lifetime warranty on furnace heat exchanger. Some furnaces can come with a 10 year limited unit replacement warranty. Amana comes in a number of different SEER, and EER performance standards. From a basic 14 SEER AC to a 80% EER furnace; 18 SEER (or greater) and 96% EEF. No matter what rating you chose here are the finer points of Amana HVAC. Factory installed in-line filter dryer. Heavy-Gauge galvanized steel enclosure with sound control top. Condenser 10 year Limited parts warranty and/or limited lifetime warranty on compressor. Some furnaces can come with a limited lifetime unit replacement warranty. Carrier comes in a number of different SEER, and EER performance standards. From a basic 14 SEER AC to a 80% EER furnace; 18 SEER (or greater) and 96% EEF. No matter what rating you chose here are the finer points of Carrier HVAC. Sound: as low as 66 decibels. Filter drier system protection from moisture and contaminants.